Medical student Christine Montross felt nervous standing outside the anatomy lab on her first day of class. Entering a room with stainless-steel tables topped by corpses in body bags was initially unnerving. 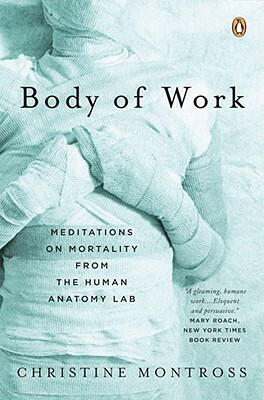 But once Montross met her cadaver, she found herself intrigued by the person the woman once was and fascinated by the strange, unsettling beauty of the human form. They called her Eve. The story of Montross and Eve is a tender and surprising examination of the mysteries of the human body, and a remarkable look at our relationship with both the living and the dead. Christine Montross is a practicing inpatient psychiatrist and an assistant professor of psychiatry and human behavior at the Warren Alpert Medical School of Brown University. She lives in Providence, Rhode Island.